This books is offering rich, soul-inspiring practices specially for mom who have neither quite nor time and also invites us to connect with God better than never before. 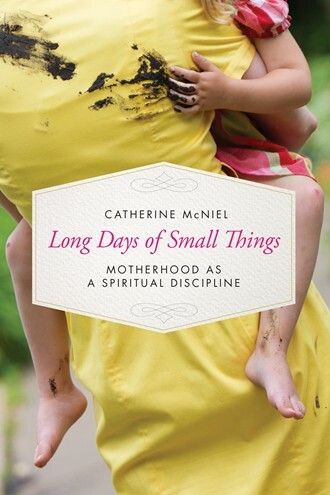 Catherine has written so beautifully of a woman spiritual pathway to God the author also had passing her experience from the word to word that had been found from her journey of the spaghetti days of family, The wonder of pregnancy and birthing, and above all the sacredness into motherhood. This book also help a weary parent weak up a bit more to the eternal life living explains simple ways to practice God's presence in daily routines. These practical suggestions put worship within reach of everyday busy mom, gently explaining how to live in the present of find God in the chaos chasing kids. This will change how to view with life and motherhood. with more detail inside like Finding the householder's path 1, She carried God under her heart, With the help of God created a man !, Flowing with milk and honey, Made in the image of God's love, All nighter with God and much more spirit inside this book. Catherine McNiel survived her children's preschool years by learning to find beauty in the mayhem. Now, she write to open the eyes of weary moms to God's creative, redemptive work in each day. She serves alongside her husband in a community-based ministry while she cares if thee kids, works two jobs, and grows one enormous garden. I highly recommend to everyone must to read this book.
" I received a complimentary copy of the book for review from Tyndale House "